I remember the first time I saw this photograph, for which I discovered via the always inspiring TheBlackWorkshop tumblr account. It was one of those rare, game-changing moments, where a concept I thought I knew, hit me over the head in a new and fantastic way. Oprah would call this an “AH-HA” moment. And Doris Lessing would say it’s learning “That is what learning is. You suddenly understand something you’ve understood all your life, but in a new way.” I call it an epiphany. The concept of “projection” has been one that was first brought to my attention when I started to take a look at how my emotions were affecting my behavior, and how I might gain some manageability by taking responsibility for them. My mentors would constantly point to me and say, “you’re projecting”; which I understood to mean that I was imagining a future outcome without weighing out all the alternatives. This was a great awareness that helped me in moments were I felt the familiar signs of anxiety start to take hold. I would think to myself “you’re projecting, things could go well just as easily, now make the doctor’s appointment, job interview, etc”. I practiced this for years before I saw this image. 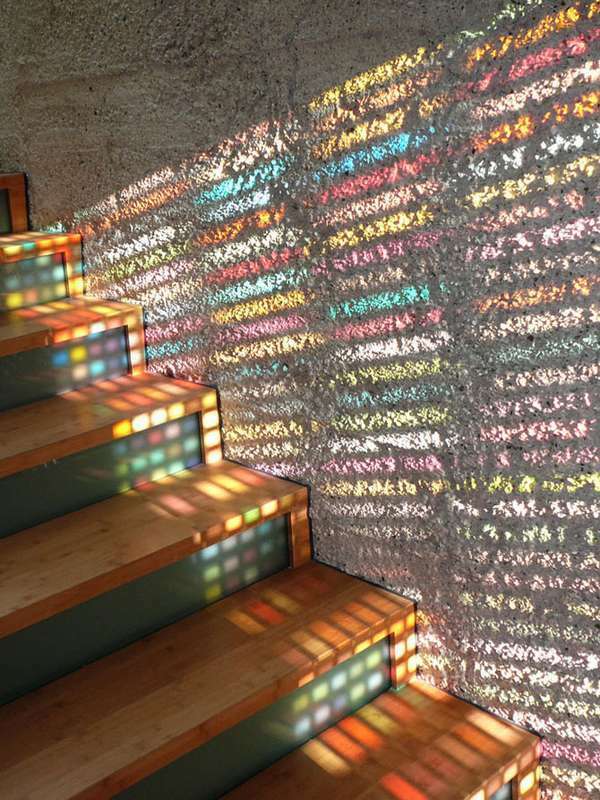 However- my idea of projection changed upon seeing this image of light cast throughstained glass, creating an abstraction of the existing element, onto the surfaces adjoining the element. And suddenly, I understood the ways in which I was propagating my own misery by viewing the many situations and relationships in my life through a set of lenses that abstracted my perception of what was real. I suddenly realized that I was making assumptions about how people were feeling, based on how I was feeling. Simply, I had imagined many of the tense or awkward dynamics that I felt were true among the people who touched my life. I especially did this with pain. I frequently found myself assuming people were in pain, when in actuality it was my own that I was projecting. Now I am able to better understand that each person’s perception of a particular experience will have been molded by all other experiences leading up to that point. I am able to ask people how they are perceiving an experience, and listen. This gives me the opportunity to build compassion, for once I saw the ways my own experiences shaped my outlook, I was able to see how others could have arrived at theirs. And today I can find some peace in the differences. Like many of these epiphanies, they are big in the moment and often lost soon after their inception. However, this realization possesses even more depth by the permanent association I will forever have binding this emotional sentiment to the architectural element of stained glass. 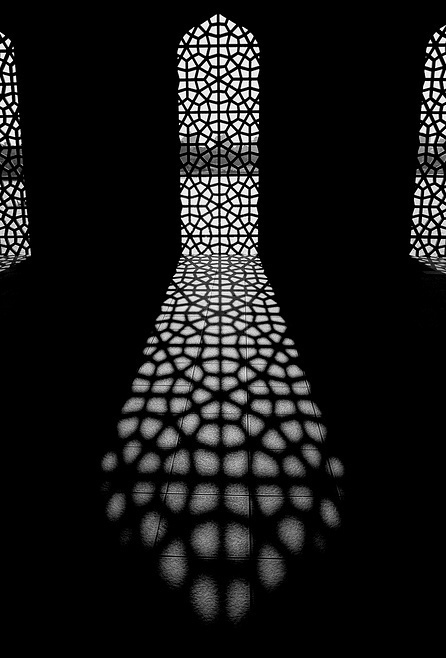 I am also fond of and intrigued by the purposeful use of shadow. 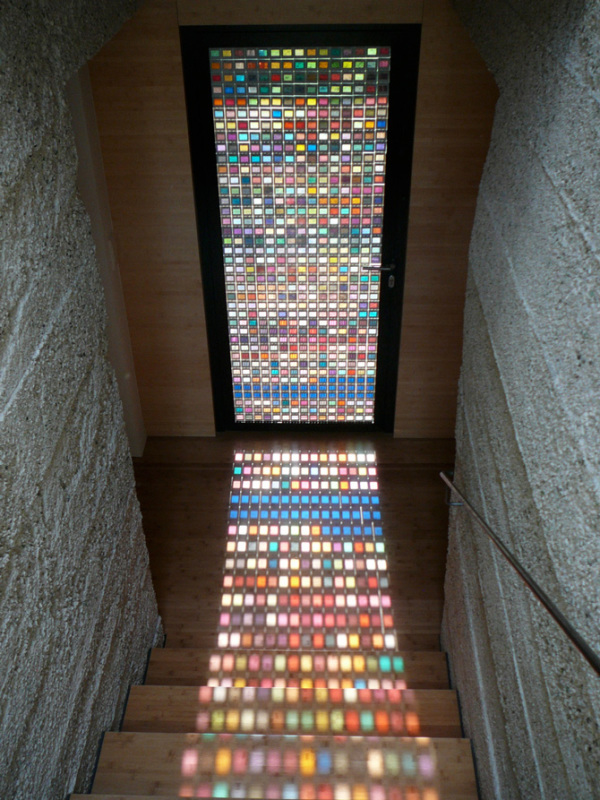 These elements are used beautifully by Armin Blasbichler Studio, who is responsible for the door shown at the top. The fascination I have lies in the ability to create a separate characteristic within a space with the addition of a light source. Where, there was one element, there now are two. And the displacement of the original creates a dimension that can create a feeling of the space, a feeling that can be thoughtfully manipulated; that is truly magnificent. ​From design blog Trenhunter.com, who wrote a great review of this work by Armin Blasbichler Studio.